From now on, any list view pages including Product Lists, Brands or Sales History, will have the option for you to jump directly to either first or last page on the list. This has been added to help speed up the navigational process, in Hike’s list view pages. 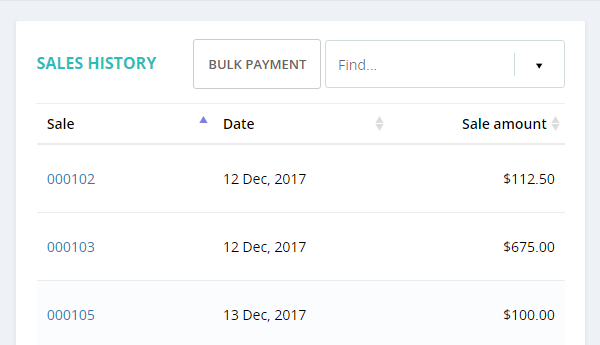 You can now link a customer to a sale and then click on the name to view their past purchase history. Previously Hike only enabled you to edit just the customer profile details. When an item is added to a cart, you can now select the product to view its inventory levels across all other locations as well, and not just the store at your location. Retailers can use this new feature to easily direct customers to the closest outlet, when an item a customer wants to purchase it out of stock at your store. Now you can easily change/update the Hike account holder’s email address from the My Account section under Store Setup. Minor bug fixes and overall performance improvement.